In the CAVE…Through THE Woods & ON THE WAGON! 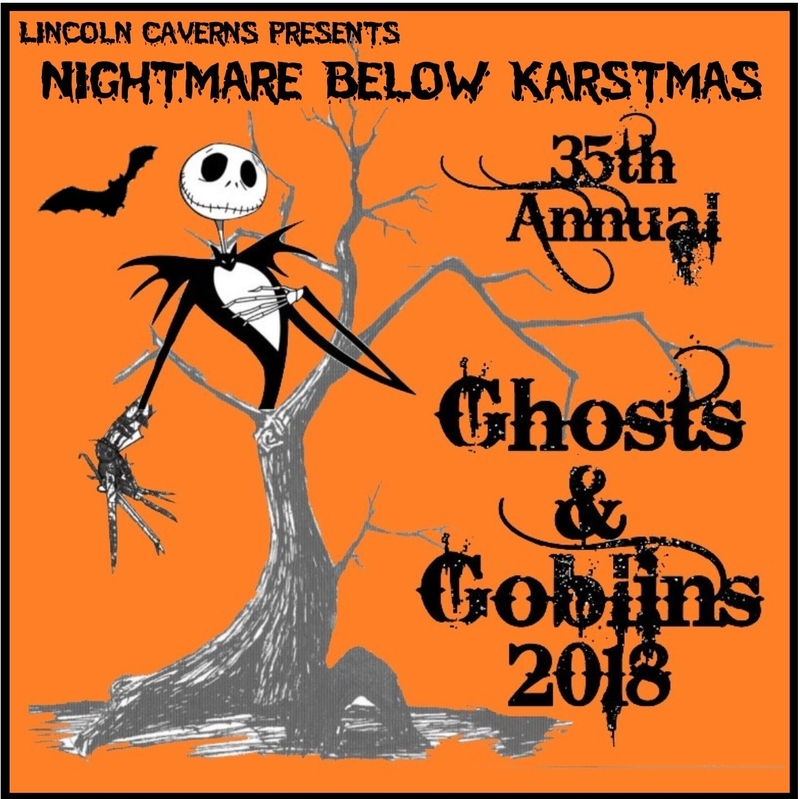 Our 35th Annual Ghosts & Goblins Tours promises to bring new themes & new surprises, creating a memorable experience for first time and repeat visitors alike, including our newest addition - The Haunted Hayride! Three Unique Experiences for the Price of One! Tours leave approximately every 15 minutes throughout the event to help prevent long wait times. Advance Tickets must be purchased PRIOR to the date of your tour and may be purchased below or by phone. 814.643.0268. VISA, MC, Discover & Paypal accepted as payment. Advance ticket sales end at 4 PM Thursday for Friday night tours and 4 PM Friday for Saturday tours. Full price tickets will be available at the door. ADVANCE TICKETS WILL BE HELD AT THE DOOR, unless requested otherwise. An e-mail confirmation will be sent upon receipt of your ticket order. Enjoy a very special family tour through two beautiful crystal caverns, one haunted and one natural, followed by a Family Hayride around Warrior Ridge Farm. 90 minutes of fall family fun! Come experience 90 minutes of terror! All Scary Haunted Caverns PLUS Haunted Trail & HAUNTED HAYRIDE! RAIN OR SHINE - IF RAIN MAKES THE HAYRIDE UNSAFE - GUESTS WILL EXPERIENCE AN AWESOME BLACKLIGHT ADVENTURE IN WHISPER ROCKS - A SPECTACULAR ALTERNATE EXPERIENCE!